Most of the paper we use every day would collapse into mush if we poured hot liquid into it. Paper cups, however, can handle anything from ice water to coffee. More than 70 cities and counties have banned polystyrene cups, seeing paper as an environmentally preferable alternative. The "Boston Globe" says, however, that neither option is clearly better, and both are inferior to using a mug or cup of your own for drinks. Paper cups are made from wood chips. The chips are turned into wood pulp, which is mashed into paper. The Royal Society of Chemistry estimates 33 grams of wood and bark go into each paper cup. The pulp is bleached using chlorine, sodium hydroxide and other chemicals. Manufacturers take the paper and apply a thin plastic layer that makes it waterproof. The flat sheet of plastic-covered paper is then rolled into a cup form, according to the Green Your Cup website. Next, the manufacturer heats the plastic and presses the parts of the cup together so the plastic seals them. Some paper cups are built with special features. The Webstaurant Store website says cups made with an inner and outer layer of paper can insulate hot contents without the need for a sleeve. 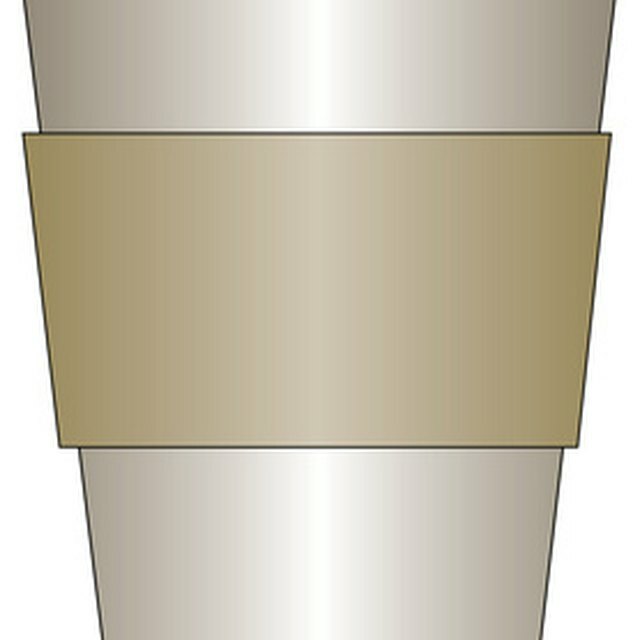 Cups with polymer coatings are also insulated and tougher than regular cups.